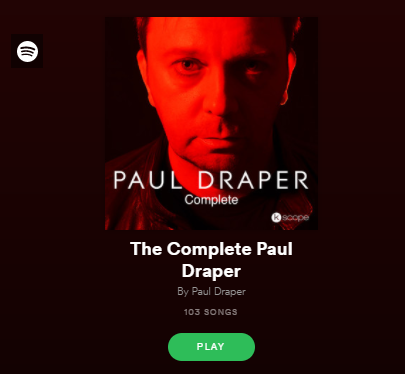 Former Mansun frontman, Paul Draper has published a new Spotify playlist, ‘The Complete Paul Draper’. The playlist is a collection of everything Paul Draper that’s currently available on Spotify and runs to 103 tracks, including songs from the Mansun catalogue, Paul’s solo tracks and collaborations with The Anchoress and Skin. You can find ‘The Complete Paul Draper’ on Spotify HERE .